Women often complain that men overreact when they have symptoms of a common cold. However, science might prove there’s some reason behind men’s supposed whining, according to a new report from the Daily Mail. A study from the Stanford University School of Medicine shows that the female hormone estrogen may strengthen women’s immune systems, whereas testosterone — the male equivalent — impairs the body’s capacity to fight off viruses. Furthermore, the pre-optic area of the brain, which triggers fevers during inflammatory illnesses, is larger in men, the researchers wrote in the journal Proceedings of the National Academy of Sciences. This finding suggests that men could actually experience heightened symptoms from an illness like the common cold. Research from the University of Glasgow also found that men are less attuned to their biofeedback signals — meaning they are bad interpreting how their body feels, according to the Daily Mail. The scientists theorised that men and women have different thresholds for tolerating symptoms, rather than actually having different symptoms. As a result, they often perceive their illnesses as more severe. 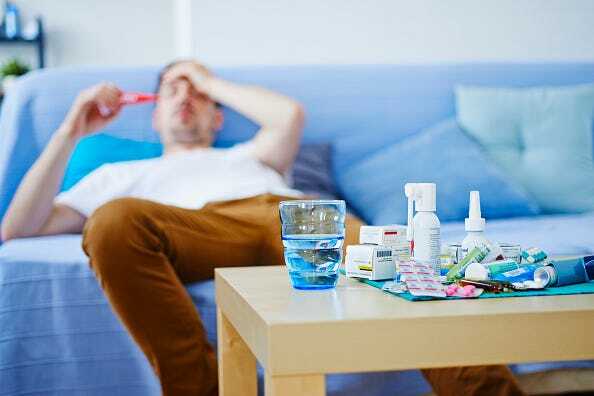 Yet, while there is some research that supports man flu may be real, it’s unlikely to ever be formally diagnosed — and still possible that men are just overreacting, the researchers concluded.